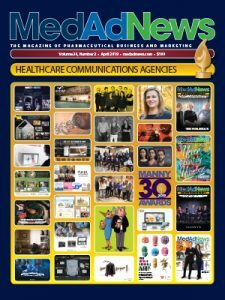 HealthPrize Technologies, a medication adherence and digital patient engagement company, has announced positive results from a number of pharmaceutical company sponsored patient support programs conducted across a variety of chronic conditions, including diabetes, hypertension, acne, and asthma/COPD. HealthPrize’s online and mobile platform uses gaming dynamics, behavioral economics, rewards and education to motivate patients to engage with medical educational content and to adhere to their prescribed medications. The platform also verifies prescription fills for all engaged patients via a proprietary process that allows for real-time, accurate refill verification and adherence tracking. The HealthPrize platform increased adherence rates across several adherence measures, while decreasing gap days between refills, a major cause of non-adherence. Using baseline adherence rates for participating patients, comparative data showed that the HealthPrize system increased mean prescription fills rates by 54 percent across indications and demographics and materially decreased the mean interval between refills for one group of diabetic patients by 39 percent. Engagement rates for patients enrolled in HealthPrize programs were equally strong. One group of diabetic patients presented a mean engagement rate of 5 logins per week, while asthma/ COPD patients were logging in about 7.7 times per week on average. Average login rates for patients across all programs was just over 4 times per week. In addition, each week, an average of 55 percent of patients also completed a new educational quiz and a market research survey, which company leaders say led to rich data sets and valuable insights. Mean patient age in the studies ranged from 24 years old for the acne program to 54 years old for asthma/ COPD. In general, programs enrolled a greater percentage of women as compared to men. Sample sizes ranged from 250 patients (hypertension) to over 7,000 patients (acne), as driven by diverse client-directed enrollment goals and methods. Program duration ranged from six months (asthma/COPD) to two years (acne). Engagement rates were high across all programs, with mean weekly login rates per patient of 2.7 for acne, 3.9 for hypertension, 5 for diabetes, and 7.7 for asthma/COPD. The mean number of minutes on site per patient per visit ranged from 1.5 to 3. HealthPrize’s platform is designed to motivate patients to engage with medical educational content and adhere to their prescribed medications.